LS Truck intake manifold EGR and EVAP block off complete kit. 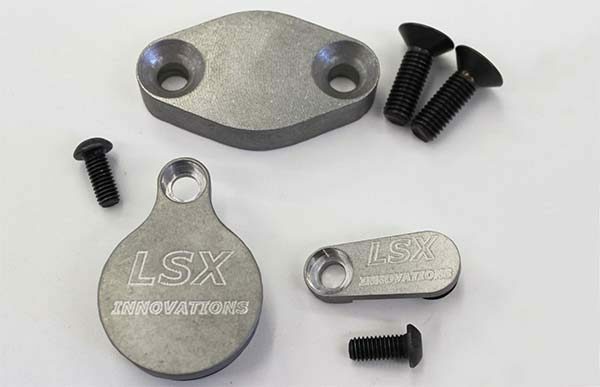 For use with all LS truck intake/exhaust manifolds that originally came with an EGR/EVAP systems. CNC milled right here in the USA from aircraft grade Billet aluminum. 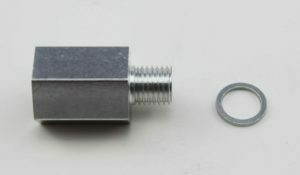 Comes with O ring and bolt as seen in pictures. Does not come with exhaust EGR gasket. 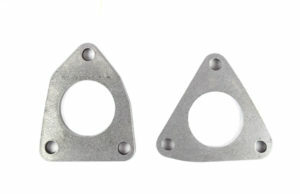 We also offer these parts individually. Intended for off road use only, check with your local and state laws before deleting emissions equipment. 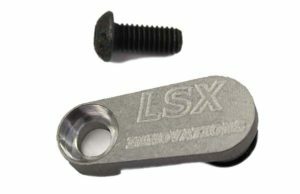 LSX Innovations INC Is not liable for any misuse of this product. Everything was perfect, fit exactly, awesome machine work ….. will recommend to others,,,, thank you!